Well, it appears Google is launching its own open-source browser (Chrome) sometime today. You can learn more about it by reading their informative comic. Chrome, said Google’s vice president of product management, Sundar Pichai, is based on the same WebKit engine that powers Apple Inc.’s Safari, and like Microsoft Corp.’s new Internet Explorer 8 (IE8) Beta 2, sports a privacy mode that erases most evidence of browsing from the application when a session is shut down. Pichai said that Google would post an announcement on its company blog when Chrome is ready to download. Google Chrome is a browser that combines a minimal design with sophisticated technology to make the web faster, safer, and easier. Learn about Google Chrome. Intrigued by Microsoft Surface, but don’t want to spend $10,000 – or deal with Microsoft? Then take a look at the TouchKit project, which can help you get together a table-sized screen with a multitouch interface, using open source components. TouchKit comprises both hardware and software components. On the software side, the API is implemented as an addon to OpenFrameworks. This gives it cross-platform compatibility with OS X, Windows, and Linux, though you’re going to need to be comfortable hacking around in a pre-release C++ framework to make use of it. The software is licensed LGPLv3. 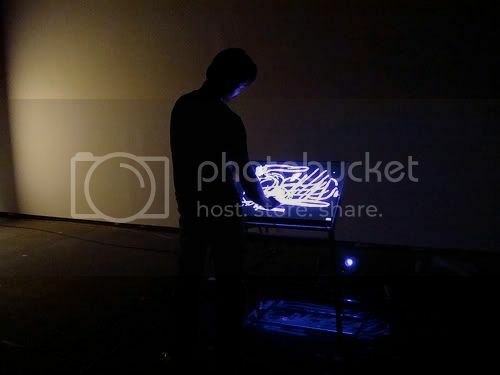 On the hardware side, TouchKit consists of a computer, projector, camera, and a special screen including a rear projection surface and strings of infrared LEDs. Since you’re not all that likely to have the screen laying around, the inventors will sell you the core pieces for $1580 or just the infrared strip lighting for $350.They also say they’ll be releasing schematics under a Creative Commons license, making this another open hardware project. Some of the hardware schematics are already online, with more to come. Microsoft expanded its support for the open-source community on Friday by giving money to the Apache Software Foundation, the first time it has given money to the long-standing open-source project. Microsoft also said it is contributing code to support a PHP (Hypertext Preprocessor) project and committing to offer royalty-free specifications for Windows Server and .Net Framework protocols as part of its expanded support for the open-source community. The company announced its plans at the O’Reilly Open Source Convention (OSCON) now being held in Portland, Oregon. Under increased global pressure from technology regulators and open-source competitors, Microsoft has moved toward a more open development policy for some time. In February, it made its boldest move yet to support open source by promising greater transparency in both its software development and business practices, and opening up previously proprietary APIs to some of its major products, such as Windows and Office, for third-party use. On Friday, Microsoft strengthened those efforts by becoming a platinum sponsor of Apache, a sponsorship that includes a $100,000 donation to the organization. According to Microsoft, it has communicated with Apache in the past but has never contributed to the foundation in this way. Microsoft also is providing code to a project called ADOdb, which is a database abstraction library that allows PHP-based applications to communicate with a range of databases. PHP is an open-source, freely available scripting language developers widely use for Web development. Through Microsoft’s contribution, ADOdb can now communicate natively with SQL Server’s database driver, the company said. Microsoft is adding to the list of protocols covered under its Open Specification Promise (OSP) as well, including protocols for technologies built into Windows Server and the .Net Framework. The company launched OSP in September 2006 as a pledge that it would not take any patent-enforcement action against those who use certain technology APIs. Protocols released as part of OSP can be freely used by third-party developers. In addition to its increased open-source investments, Microsoft released updates to IronRuby, an implementation of the Ruby programming language for Microsoft’s .Net programming framework. The company said it plans to ship all standard Ruby libraries implemented in the Ruby programming language as part of its IronRuby distribution. It’s also participating in the RubySpec project, which aims to write a publishable specification for the Ruby programming language, and has created a separate open-source project under the Microsoft Public License called IronRuby-Contrib. That project aims to promote collaborative development of code for IronRuby. Google demonstrated its Android mobile phone software at the Google I/O conference in San Francisco. is due to ship as open-source software when the first Android phones go on sale later this year. This is a view of the home screen, demonstrated by Steve Horowitz, Android’s engineering director. “What it is really about is being able to make life easier and faster for developers,” said Dion Almaer, Google engineer for developer programs. Alamaer said the project is just the beginning; Google wants to add more libraries. “If we see good usage, we can work with browser vendors to automatically ship these libraries. Then, if they see the URLs that we use, they could autoload the libraries, even special [just-in-time] ones, from their local system,” said Almaer. In addition to hosting libraries, cache headers are set; up-to-date bug fixes are furnished as well. Automatic compression is also featured as part of the project.